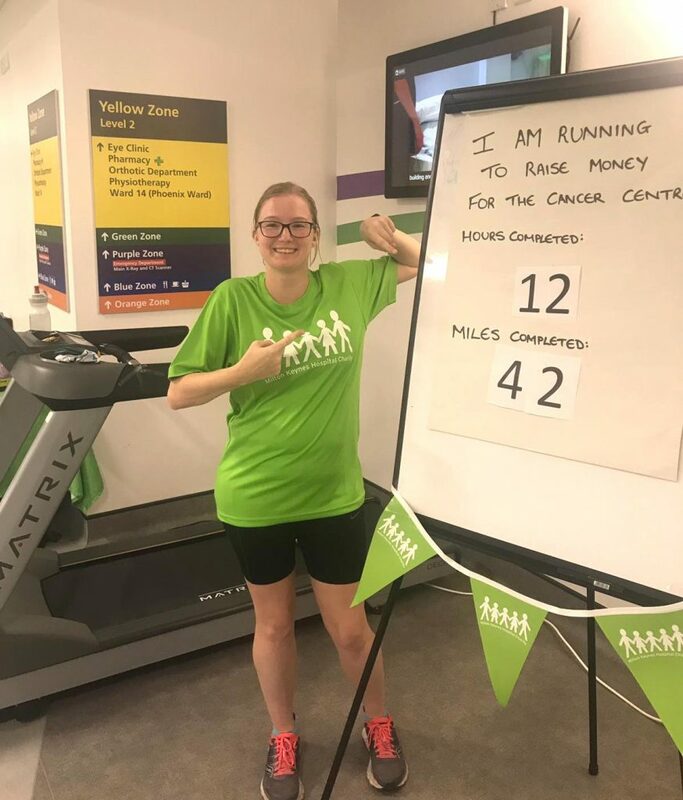 On Friday 18 January, Rheumatology Nurse Gemma Berrill took on an epic 12 hour running challenge in the main entrance of the hospital to raise money for our Cancer Centre Appeal. 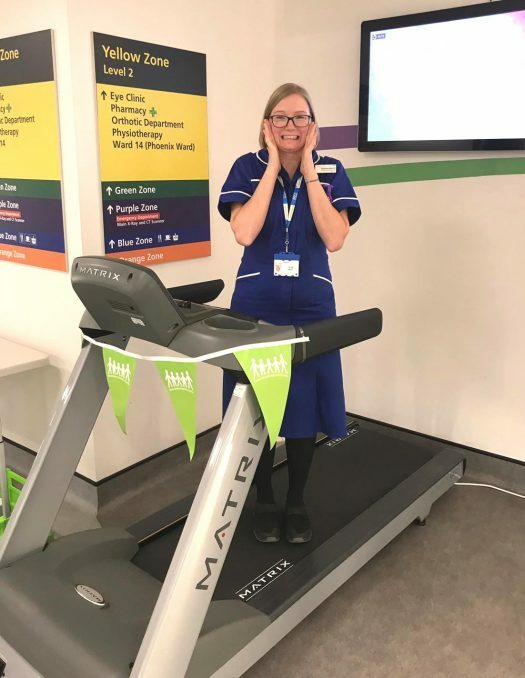 Gemma, who works at Milton Keynes University Hospital said: “As a nurse I feel privileged to work at such a rewarding, warm and caring hospital and I would like to give something back to the community. I enjoy a challenge and I run in my spare time so thought why not combine the two.